Find hotel near Red Square Bar And Loung .. 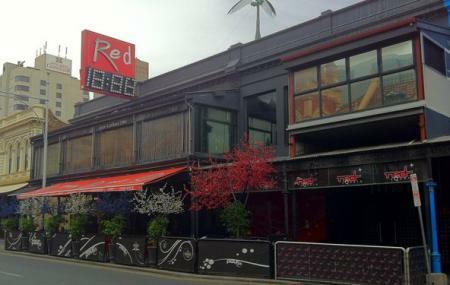 Located on Hindley Street, which is Adelaide’s famed party district, Red Square is one of the busiest and most popular nightclubs in the city. It is mostly visited by tourists and locals who want to party the night away. The music is good and varied; they host specialty nights and serve a wide range of alcohol. If your looking for a off beat place or a quite watering hole, this in NOT the club for you. Be prepared to get swept up in the vibe and dance till you drop. The lines are long so if you want to beat the queue arrive before 9 pm. Carry a valid ID and age proof. How popular is Red Square Bar And Lounge? People normally club together Adelaide Zoo and Penfolds Magill Estate Winery while planning their visit to Red Square Bar And Lounge. Great scenery for the voyeristic persons, elegant decor. Extraordinary live musicians with exceptional ambiance, I would go as far to say I would host a christening here. Recommended for any person with good taste and a developed palatte. This place is way over hyped. It is very small and cramped. Drinks are overpriced. Music is way too loud. Venue smells awful. Owner has a questionable reputation. Security can be unnecessarily heavy handed with young patrons. This place really has very little going for it unless you are pinging hard and want to stare at the light up dance floor.